Shiv Shanti Ashram is a reflection of God’s kingdom where devotees come and walk from saffron dawn till purple dusk. This is the very place where devotees come and pour out all the vengeance and toughness in one’s heart and take back with them a pious soul. Both in its outer manifestation and inner-seeking, the Shiv Shanti Param Dham is entirely different from the popular conception of an Ashram. Outwardly the Ashram is engaged in a wide variety of activities, and it is difficult to perceive the inner spirit hidden behind these works. In order to comprehend the true significance of this Ashram it is necessary to develop an understanding of Sant Baba Asudaram’s Vision. The main process that goes on silently behind the appearance of all outer activities in the Ashram is the Selfless-Service (Nishkaam Sewa) and Self-Surrender (Aatma-Samarpan) to the force of the Supreme. The primary purpose of the various activities is not to satisfying any practical or economic need but to provide a field for spiritual growth to the devotees in the Ashram through such activities (Sewa). And it is this “Inner Attitude” (mann ki shraddha) rather than the outer accomplishments which is the essence of all the works done in the Ashram. Just as there are physical laws that govern the physical universe, so are there spiritual laws that everyone has access to and can apply regardless of their religious affiliation.All have sinned and fall short of the glory of God. In the Shiv Shanti Ashram perfection does not mean some superficial change or refinement of nature attained through a rigorous self-discipline based on certain rigid moral, ethical or religious ideas. Not a pretention of perfection but a genuine transmutation of the present base human nature into a higher principle of a divine nature: a conversion, a transformation which is something permanent and real, is the aim here.A constant Self-Surrender (Aatma-Samarpan) and Selfless-Service (Nishkaam-Sewa) to the divine with an unwavering aspiration; therefore is the key to this perfection, this integral transformation. In response to the emotional urge of the Indian devotees of establishing a spiritual base in India similar to the one in Sindh, Pakistan, a piece of land was bought in the name of Sri Goromal on the Lucknow-Kanpur Highway along the Sharda Stream. 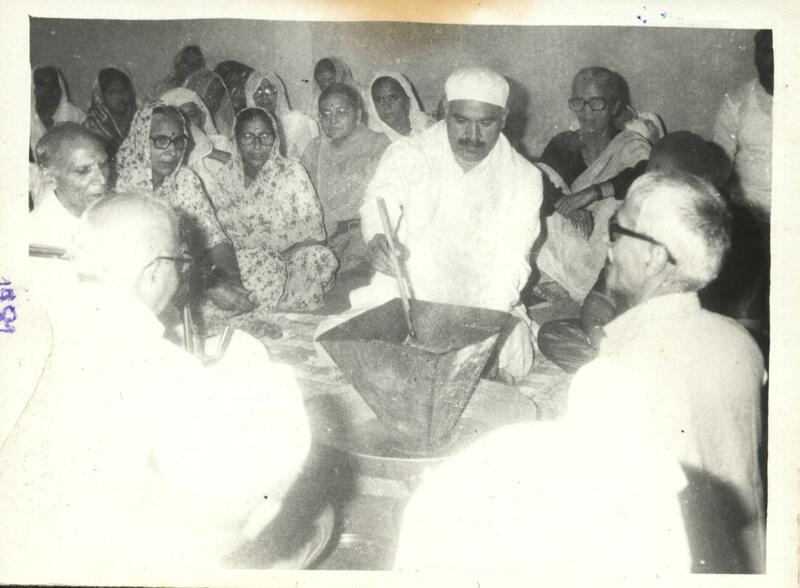 On 15th June 1977 Sant Sri Chanduram Saheb conducted the Bhoomi-Poojan of the Ashram and left for his home-country Sindh, Pakistan on 6th July leaving the responsibility of the completion of the construction work on one of his most amenable disciple, Parmanad Panjwani (Kanpur). 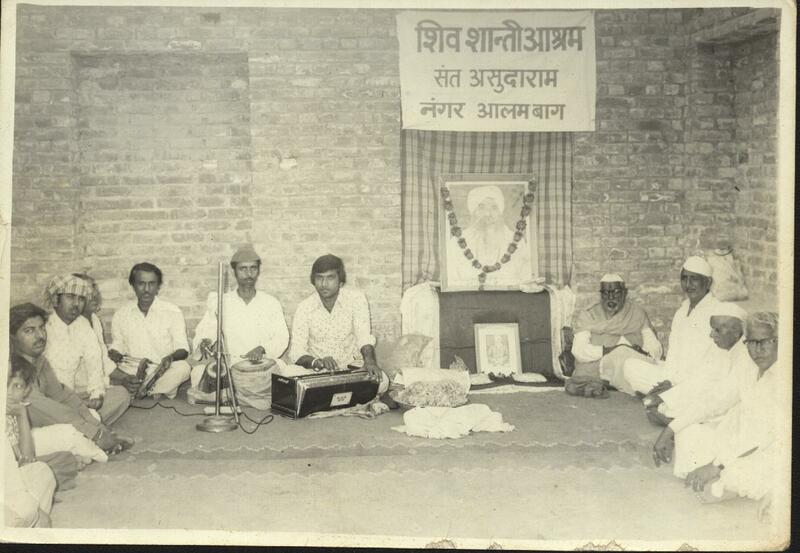 The foundation stone was laid by the very blessed hands of Swami Shiv Bhajan Ji Maharaj of Samadha Ashram (Kanpur). Henceforth the construction work commenced from December. 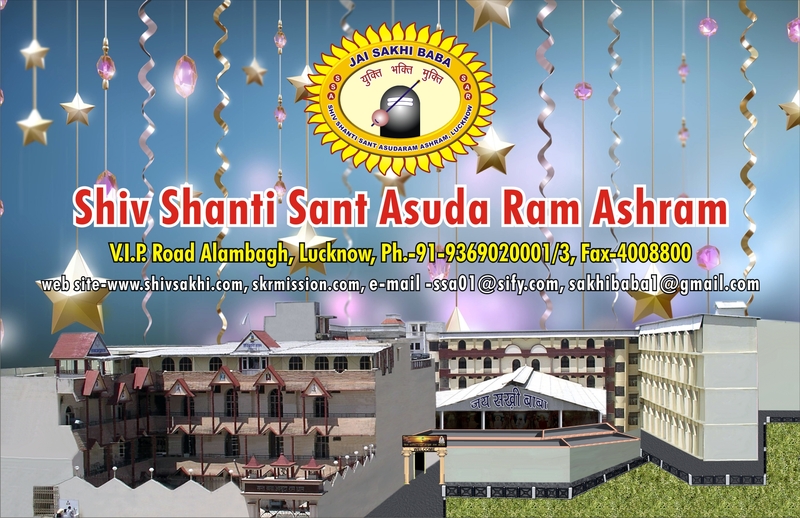 In a time-span of nine months a petite form of the Ashram was ready and the construction activity is still in progress so that the ever-growing number of the faithful can be accommodated. 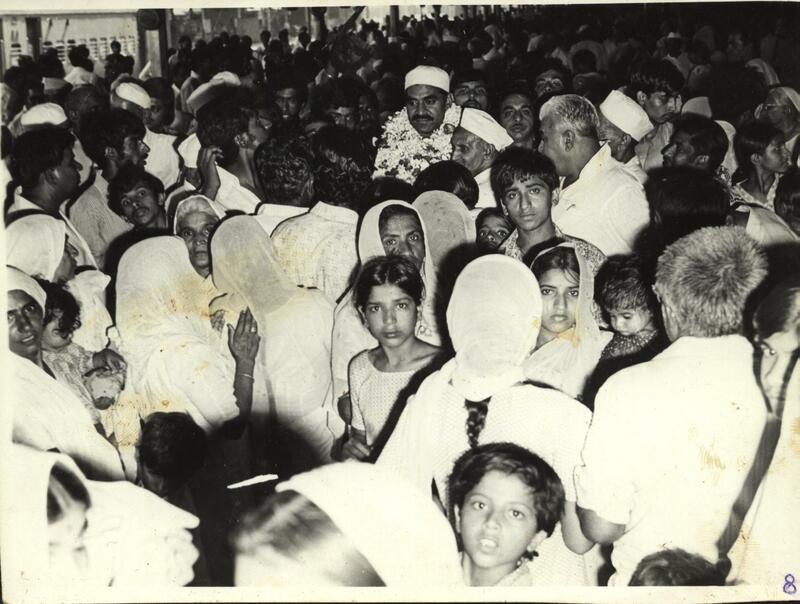 On 20th July 1979,Sant Sri Chanduram Ji returned to Lucknow. On 3rd September a Yagya was conducted for the purification of the place by Brahman Sri Shivan Das Maharaj. 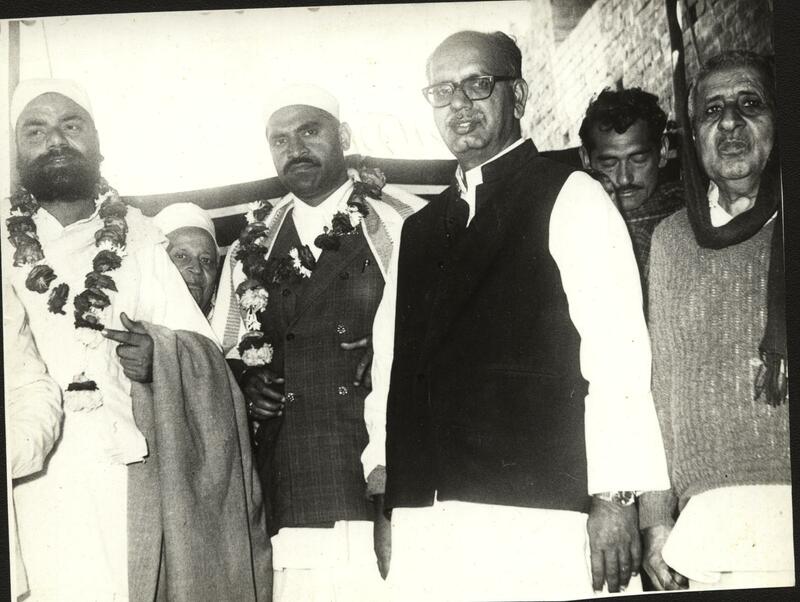 The inauguration of the Ashram was done by the blessed hands of Sai Kanwar Ram’s son Sai Peshuram Saheb.The occasion was accompanied by the placement of the Holy Guru Granth Saheb in the Darbaar Saheb and idols of Sache Sai Satram Das Saheb, Poojniya Amar Shaheed Sai Kanwar Ram Saheb and Sakhi Shahansha Baba Asudaram Saheb in the Kutiya Saheb. 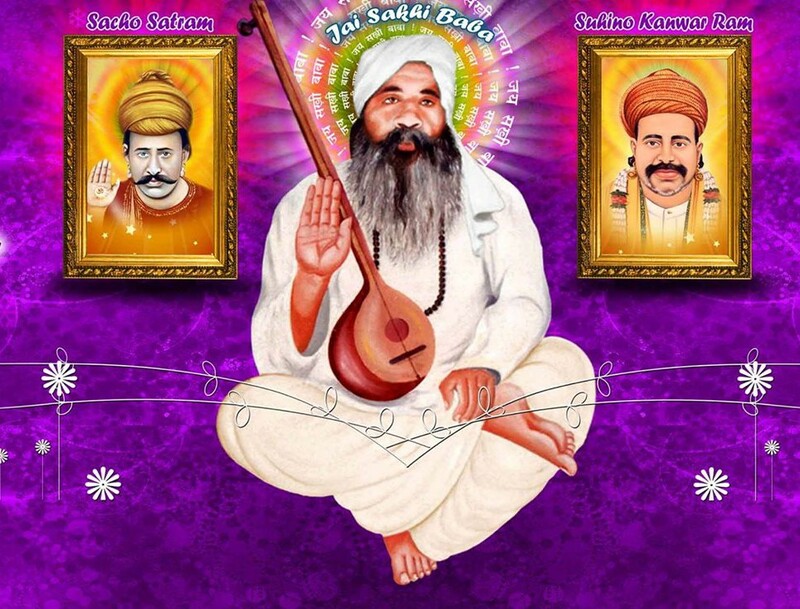 The Nirvaan Diwas (Eternal Salvation Day) of Sakhi Baba Asudaram Saheb was also celebrated alongwith this ceremony. Sai Jagatram (Faizabad), Sai Gobindram (Pakur), Sai Gelaram (Jalgaon), Bhai Banaram (Durg), Aazaad Sufi, Sai Chetanram, Meera Devi (Rohri Darbaar) and various other renowned saints witnessed this auspicious beginning and bestowed the best of their blessings on the occasion. Hence took birth the religious pillar, Shiv Shanti Baba Asudaram Asharm which depicts the services and sacrifices made by our saints in ancient times and sets forth an inspiration for us so as to learn from their lives the path of Yukti-Bhakti-Mukt i.e to lead a life by discharging our responsibilities both towards this materialistic world and above all towards the Almighty.